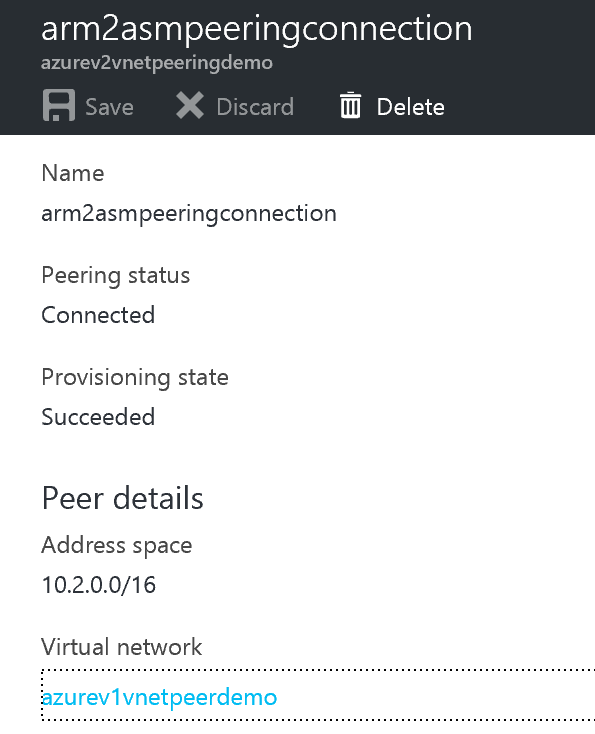 Welcome to part 3 on migrating Azure resources from ASM to ARM with the help of Azure Site Recovery. In this part we will go over 2 options on how to connect the ASM network to the ARM network. This is needed as we want our source VMs to communicate with the process server! this feature is currently under preview (Let’s not forget that preview also means FREE 😉 ) and is by far the most simple way to connect VNETs. With VNET Peering you can also connect ASM VNET to ARM VNET without the use of VNET gateway site to site VPN connections. – both subscriptions are connected to the same Azure Active Directory. The other option requires a little more configuration as we need to create a Site to Site VPN Connection between the 2 VNET gateways in different deployment models and that requires some PowerShell to make this work.